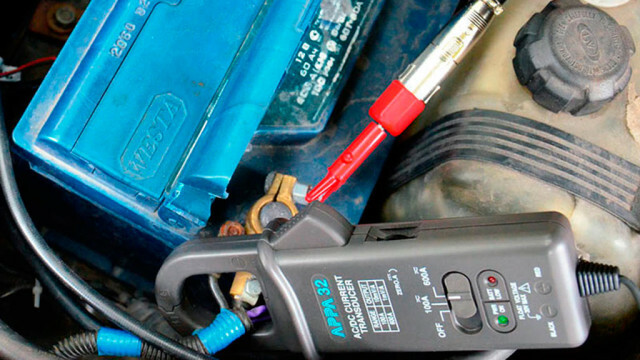 Connection of current clamp and measuring adapter from the USB Autoscope IV to the vehicle battery. 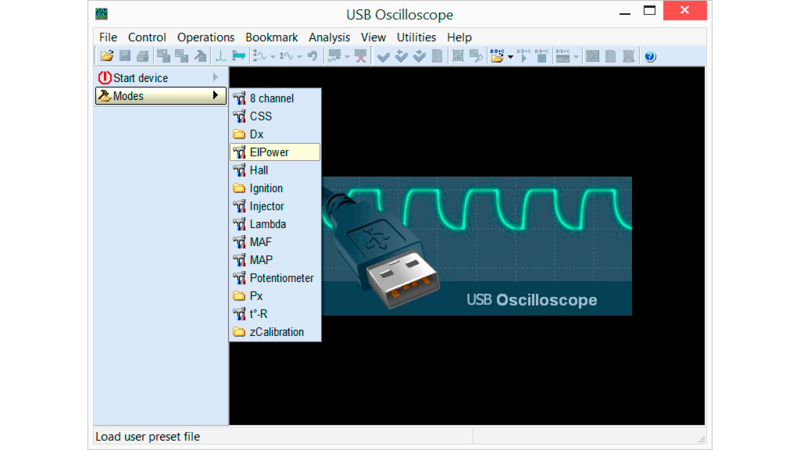 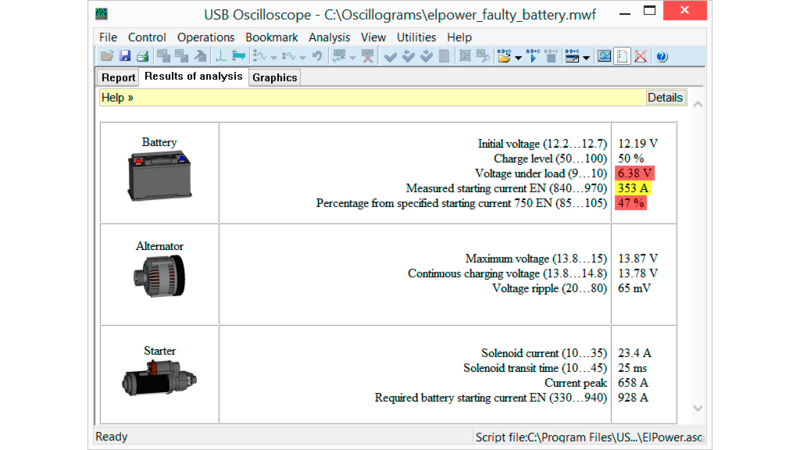 Setting the USB Autoscope IV to the battery voltage and current testing mode. Diagnostic report from the ElPower script, from a Volkswagen Passat B5. 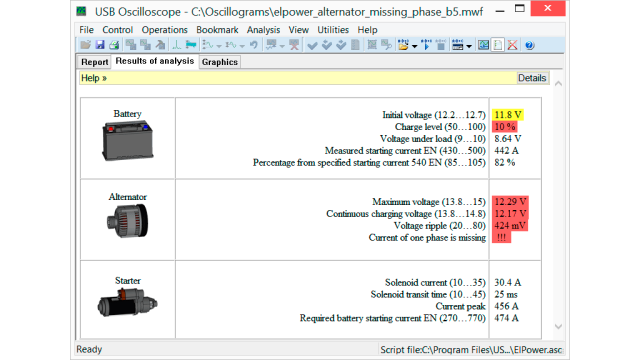 One of the phases are missing. Diagnostic report from the ElPower script, from a Volkswagen Vento. 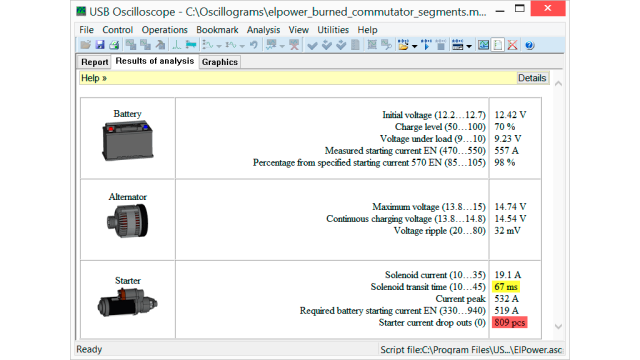 Poor contact between brushes and commutator. Diagnostic report from the ElPower script, from a vehicle with worn battery. 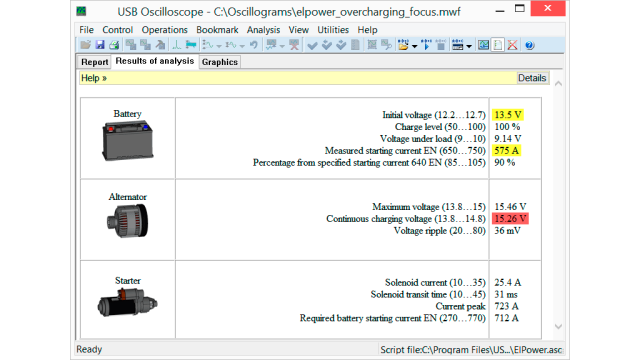 Diagnostic report from the ElPower script, from a Ford Focus, the alternator charging voltage is too high.